Beautiful English Garden fabric in rich blues and greens. 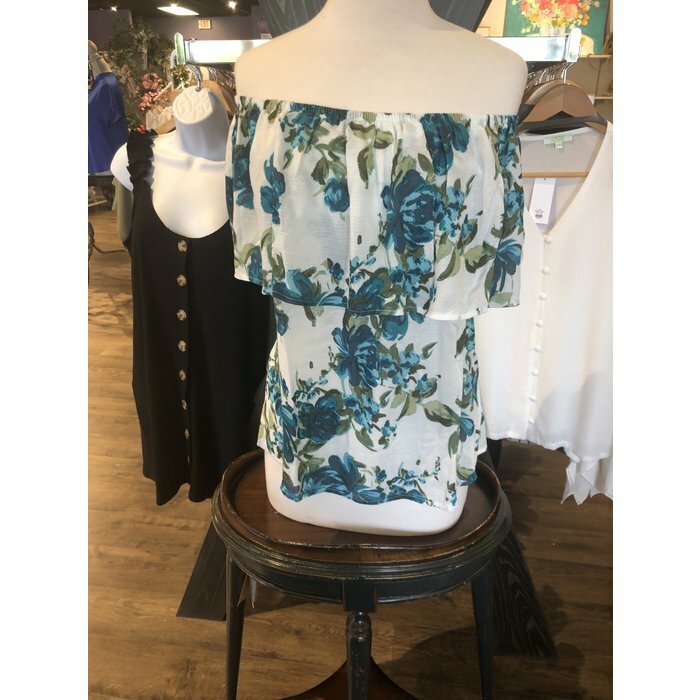 Off shoulder for that fun summer look. 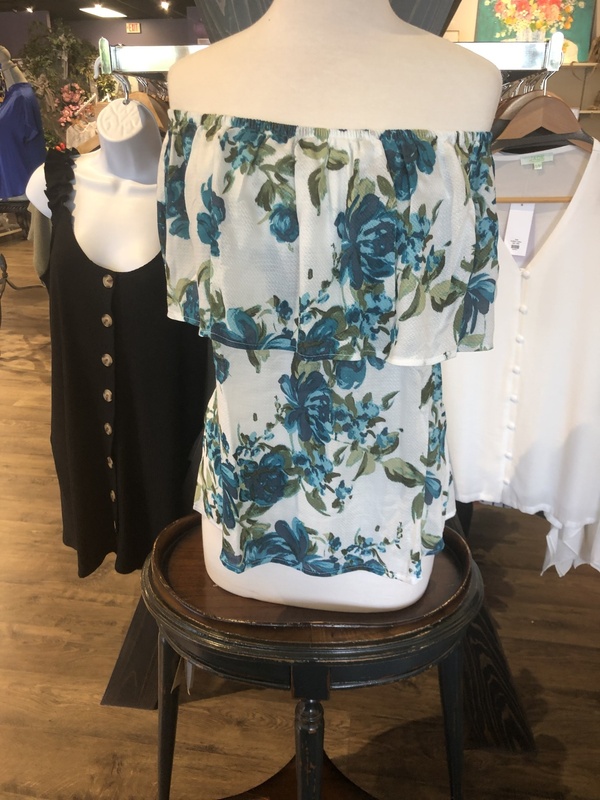 Add your favorite shorts or skinny jeans and you are dressed as Spring perfection.